Successful gardening is like a recipe. 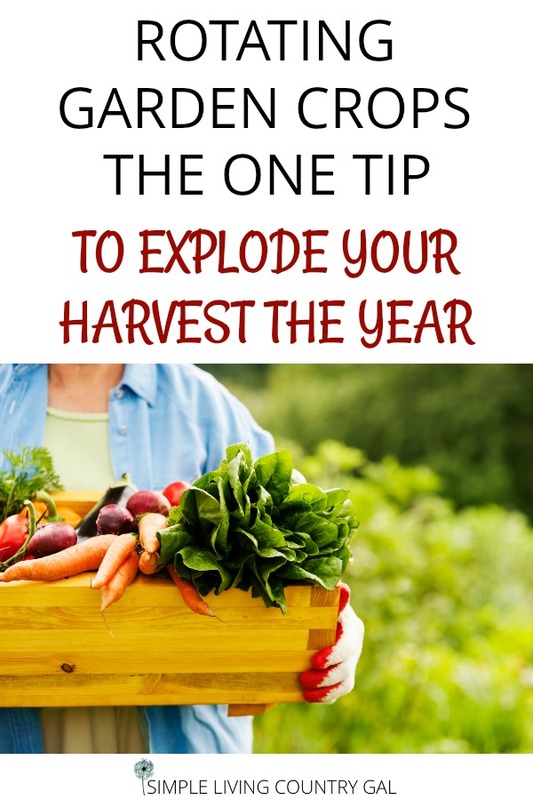 You need to make sure you have every single ingredient to ensure an uber-productive garden and bountiful harvest. As a new gardener, some lessons were easier for me to learn than others. This lesson is one of the others. 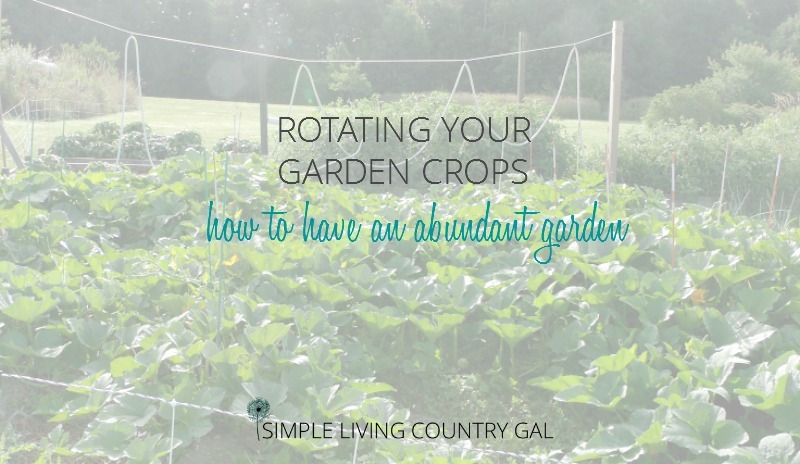 This post is all about rotating your garden crops and how this will truly benefit the quality of your garden. What is garden crop rotation? Crop rotation is simple really. It means rotating your garden crops and actually moving the location of your plants to a different area of your garden each growing season. Unfortunately, in the beginning, I had a hard time accepting the effectiveness of this tip. How could moving my plants around my garden reduce disease and increase my harvest? Well, after years of an average garden, I finally decided to give this a try. By simply moving my plants to a different location I was giving the ground a chance to rest and replenish. So, by the time the plants were back in their original spot, it was as if I was planting them there for the first time on virgin ground. The key is to successful garden crop rotation is to keep from repeating the same location more than 3 years. So, if you tend to plant your tomatoes in the center of your garden, next time move those tomatoes to the right side. 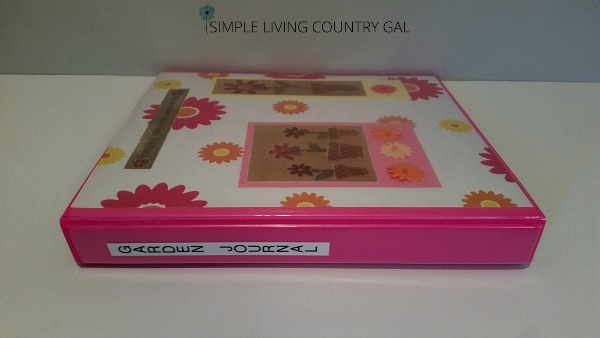 This is where a gardening journal comes is very handy. 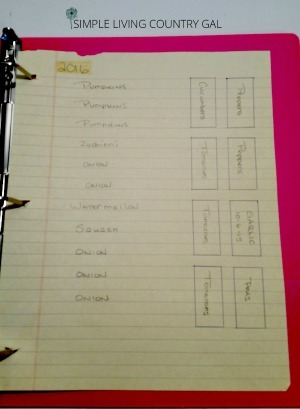 By drawing a rough sketch of what you plant and where you plant it, rotating garden crops will be much easier. You don’t need to do anything fancy, just get it on paper so you have a record of each year. 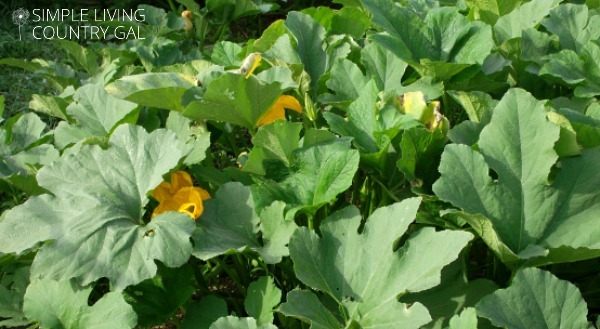 Why should you try rotating garden crops? Every growing season each plant takes what it needs from the soil in order to grow. This leaves the soil depleted of certain nutrients and microorganisms which are vital to healthy plants. While you can replace some of these nutrients each year with manure, compost and other additions you can replace them all. Also when you plant in the same location year after year you will be depleting it over and over which will make it harder to repair. If you live in a rural area you can see proof of this in your farmer’s fields. One year you may see a field of golden corn or wheat only to find soybean or other legume planted the following year. The reason for this change is corn or wheat takes it nitrogen from the soil so planting it year after year will only result in nitrogen-depleted soil and a poorly producing crop. Soybeans, on the other hand, takes its nitrogen from the air and fixes it back into the soil which replenishes what the corn or wheat removed. By replacing the nitrogen naturally the farmers rely less on chemical fertilizers. Using this basic technique of rotation in our own gardens it will help us grow organically and naturally. By using plants to replace nutrients we will no longer be dependent on fertilizers or other chemicals. One of the perks of growing our own foods is to ensure the quality is top notch. Using natural organic techniques instead of chemical is always a win for the home gardener. How to rotate your garden crops. I think the best way to explain this is to show you how I do it. 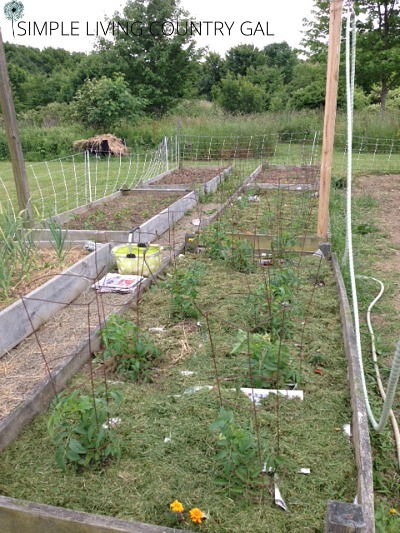 My garden layout consists of 8 raised beds set up in 2 rows of 4 and a 20′ x 40′ open area that I have set up in long rows. If your garden is like mine you probably have quite a few plants and crops planted throughout. To make things easier for me I simply shift my rows to the left by 1 each year and rotate my raised beds clockwise. If I have multiple rows per plant then I shift the whole set of rows. Remember you are not just moving plants but plant families So you need to keep this in mind when rotating. Eliot Coleman has simplified things a bit by coming up with an 8-year plan. The goal is to plant your garden by families: (1) tomatoes (2) peas (3) cabbage (4) sweet corn (5) potatoes (6) squash (7) root crops (8) beans. Then each year simply shift this plan to the left or clockwise. This ensures that no crop is in the same spot for more than one year. It also gives me a plan that is not only efficient but simple to execute and keep track of. What are other benefits of rotating garden crops? Not only will rotating your veggies help the integrity of the soil, but you will also limit the impact of plant-specific diseases. I don’t know about you, but if moving my plants around every year will reduce the risk of disease I am all over it! Remember one of the main purposes of homesteading and gardening is to reduce the impact that pesticides and fertilizers have on our food and our families, but what if your garden soil is in really bad shape? What do you do? Well, that is me this year. My garden soil seemed to attract every garden pest in our area and last minute diseases destroyed a huge and healthy crop of tomatoes. It was a devastating blow and one that I feel will take more than a crop rotation to fix. When you garden there is no way to predict what can happen from year to year. For me, it was a diseased plant purchased from a nursery. Yep, that is all it took. Normally I closely inspect all of my plants and purchase only from local organic nurseries. Unfortunately, I had one plant that had a problem and I did not catch it. That one plant spread its disease through my entire crop in less than a week destroying everything and cutting my hopeful harvest in less than half. I learned last year that I need to be vigilant the entire growing season and implement tips such as rotating garden crops. My tip to you is to take a walk in your garden every single day. Look at your plants, the soil, and your fruit. In a case such as this, you may want to take a little time off and let your garden “heal”. For me, that means letting my chickens have access to that ground for a full 1-2 years and move my plants up to my patio. Yep, I am going to grow my garden in pots this year. And you know what? I am super stoked about it! I am also going to experiment with hay bale gardening and I can’t wait to see how that turns out as well. 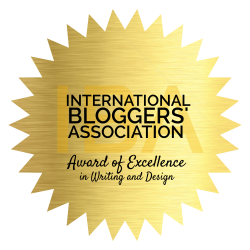 So, sometimes a bad thing can be turned into something new and exciting! Using natural and organic methods to ensure healthy gardens is the key to clean and healthy food for you and your family. When you are rotating garden crops you keep the soil on a more level playing field giving you a better growing foundation year after year. Rotating your garden crops is an easy, effortless and the perfect way to keep your soil healthy and your plants happy.